We believe that participation in various Extra Curricular Activities (ECAs) contributes to the development of physical health, emotional maturity, social competence, moral values and life skills of the students. We also believe that a fair involvement in ECAs teaches students not only the value of cooperation but also the spirit of competition that is necessary to stand out in our highly competitive society. By playing in a team and working in a group, the students learn how to cope with others for the achievement of common goals. We believe that the spirit of fair play and the will to win in competition are valuable to the development of healthy and progressive mind. At GPHS, a set of extra-curricular activities is an integral part of the school program. 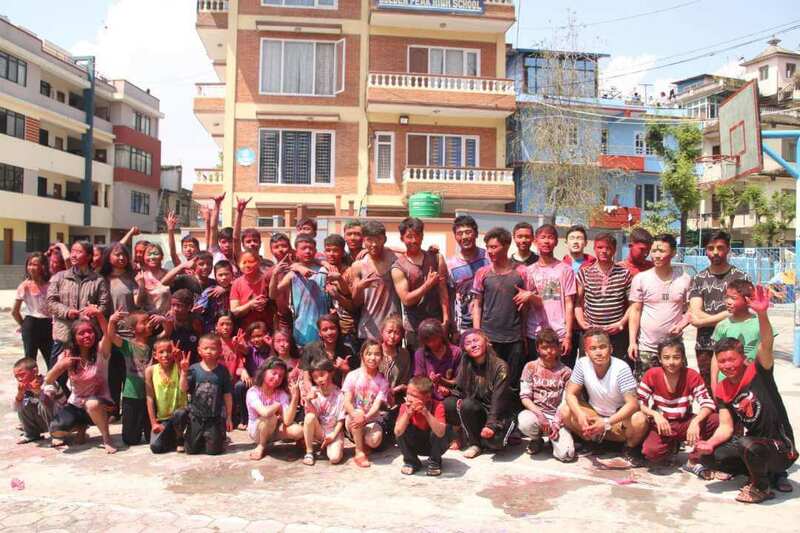 Various outdoor and indoor games are managed to develop a healthy mind in a healthy body of our every student. The outdoor ECAs conducted at GPHS are basketball, Football, Karate, Dance, Table Tennis, etc. Similarly, the indoor ECAs are Singing and Music, Chess, Drawing and Painting, etc. Besides, various ECAs like general and subject-wise quiz contest, spelling contest, oratory, debate, creative writing (poetry writing and reciting, story writing and narrating), etc are conducted periodically in order to develop students IQ, EQ and life skills with supporting their curricular activities. A separate ECA Department, headed by an ECA Coordinator, has been established that consists of a team of instructors for major indoor and outdoor ECAs. This department conducts all ECA programs throughout the year planned at the beginning of the Academic Session. Basketball is a sport played on a rectangular court. It is played between two teams of five players in each. In GPHS, there are junior and senior basketball teams of both boys and girls. They take part in various interschool and intra-school tournaments and competitions. Highly experienced and skillful basketball coaches train our students. 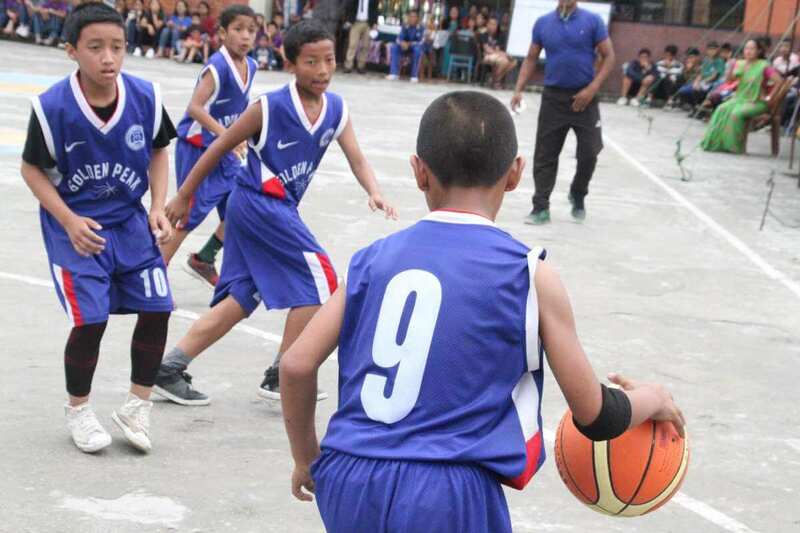 We have a very good performance of our basketball teams in various tournaments and competitions conducted throughout the year. Swimming is an individual recreational activity or competitive sport played between teams. At GPHS, we have a small movable swimming pool for pre-primary kids. Each class of Pre-Primary level gets chance to play swimming at least once a week during summer season. The students from grade I to X are taken to swimming pools for at least twice in an academic session. Our destinations for swimming are Dhumbarahi Swimming Pool, Kathmandu Fun Valley, Whopeeland, etc. Karate is a martial art developed from the indigenous martial arts of Ryuku Islands. It is predominantly striking art using kicking, punching, knee strikes, elbow strikes, etc. A karate practitioner is called Karateka. In GPHS, interested students can involve in Karate practice. There are separate theoretical and practical classes for karate at least twice a week. Futsal is mainly an indoor game played on a small field. It is played between two teams of five players each, one of whom in each team is goalkeeper. At GPHS, we have established a trend of taking our students to futsal at least twice in an academic session. School house-wise tournaments are conducted in futsal. Both boys and girls can take part in such futsal tournament. Dance is a performance art consisting of properly selected sequences of human movement with the accompaniment of music or song. It has symbolic, aesthetic as well as cultural values. In GPHS, dance classes are conducted for pre-school to secondary level. It is compulsory at least one period in a week from grade I to VII. Music is an art form whose medium is sound and silence. It is considered as the “medicine of soul”. It is a cultural activity and varies from culture to culture with their socio-cultural values. At GPHS, the music classes for interested students are conducted at least twice in a week. Chess is a board game played on a square board with 64 squares arranged in an eight by eight grid. It is played between two players at a time. 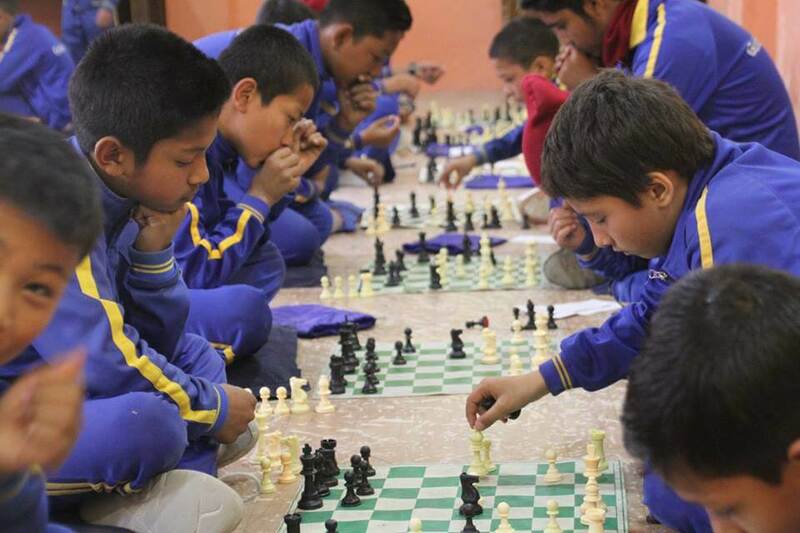 GPHS has compulsory chess classes from grade IV to grade VIII at least once a week. It helps develop concentration and mathematical mind of the students. Hours a day sitting at desk or computer monitor and more hours doing homework cause a young body to tense up. Social and family pressures and, unfortunately, anxiety, abuse and bullying also take their toll. It all adds up to the same high stress levels that have caused the grown-up world to flock to yoga classes . There is a Captain, a Vice Captain and an Associate Vice Captain in the front leading line of the SC. All Captains, Vice Captains, and Associate Vice Captains of four houses and six Clubs, and Class Monitors and Vice Monitors from grade V to X are members of the SC. Publications, speeches and seminars on global issues like international relation, global culture, sustainable development, global warming, etc.